Think you know Harry Potter? Think again. 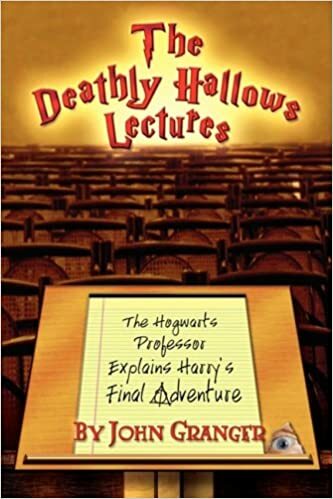 This book focuses on the last book of the Harry Potter installment, The Deathly Hallows. Divided into 7 chapters, each chapter aims to help you dig deeper into a section of the Harry Potter finale, with discussions on topics such as Alchemy in Harry Potter, Christianity in The Deathly Hallows, and even whether or not J.K.Rowling is one of the greatest authors in history (there are more reasons supporting this than one would think). The sheer depth of this novel is sure to astound you and leave you wanting more. And fear not, for John Granger has written 5 more books on the Harry Potter series and one on the Twilight Saga as well. My favorite chapter- Chapter two: The Alchemical End Game. The book has three distinct alchemical parts: the nigredo, the albedo, and the rubedo (The black, white, and red stages). These stages typically show the transformation of a character through dark times (nigredo), to a renewal or purification (albedo), and ultimately a stage where all contraries are resolved through strife or bloodshed (rubedo). In the Battle of Hogwarts we see the resolution of conflict by combat. This is by no means a bloodless war, because more than 50 witches and wizards die to help Harry succeed. Harry beats Voldemort but chooses to renounce the Hallows afterward, showing a deeper understanding of the world. You’ll have to read the book to find out the rest of the reasons and so much more! Does Prof. John Granger was the inspiration for Hermoine Granger’s name in any way?